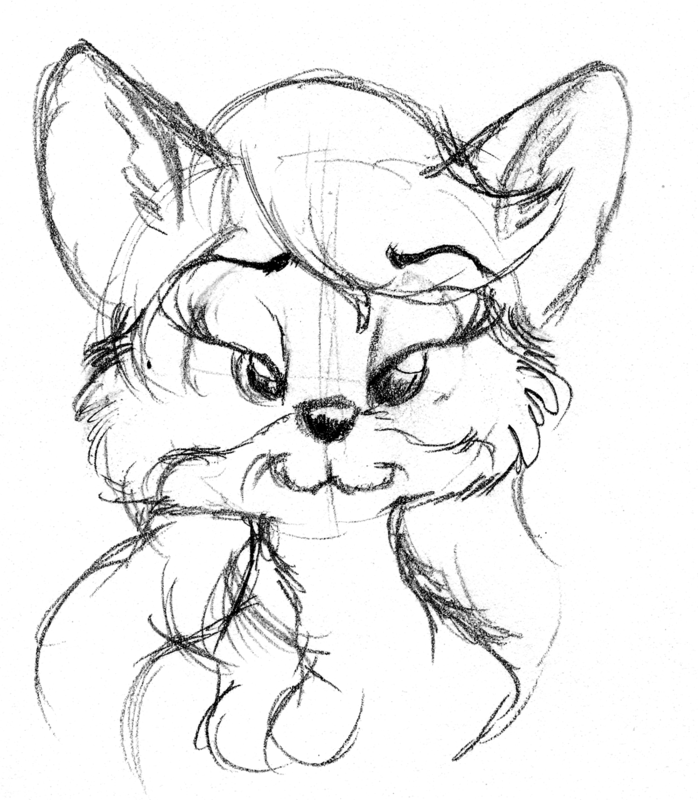 So, today, I re-drew one of the old sketches of Sandy Vixen from 1997! I did a cute little thumbnail sketch of a closeup of her face. She's a cutie pie!